File image of the FBI. NBC Bay Area’s Investigative Unit found the number of hate crimes increased in many Bay Area Cities from 2015 to 2016, according to new FBI data. Out of the 19 cities that reported their hate crimes in both 2015 and 2016 nine saw an increase in the number of hate crimes. Two cities saw the same number of hate crimes, and eight cities experienced a decrease. Berkeley, San Francisco, San Jose, San Leandro and Santa Cruz were found to have the biggest increases in hate crimes over that time. San Leandro saw one of biggest upticks in hate crimes in the state last year with a total of 22 – compared to only three the year prior. Data shows most of those incidents were motivated by the victim’s race or ethnicity. Throughout the Bay Area the majority of the incidents were motivated by the victim’s race or religion. In San Francisco specifically, where hate crimes increased from 28 in 2015 to 37 in 2016, the crimes were mostly motivated by sexual orientation. California experienced about an 11 percent increase in hate crimes, with a total of 931 reported hate crimes in 2016, compared to 837 in 2015. 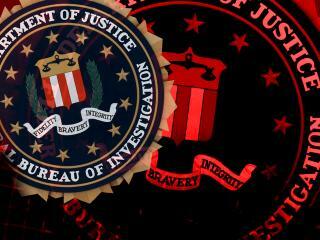 The data is part of the FBI’s annual hate crime report, which was released on Monday. The report is based on voluntary reporting of hate crimes by local law enforcement agencies across the country. Zahra Billoo, executive director of the Council on American-Islamic Relations’ Bay Area chapter said the FBI report is concerning but not surprising. She said the increase in hate crimes aligns with data the agency has collected along with anecdotal reporting in the community. Billoo said along with the human impact the FBI figures may not be complete because underreporting remains a constant concern with hate crimes. “Targeted communities don’t always feel comfortable calling the police and some agencies report some years and not others. As a result what we have is incomplete information,” Billoo said. The report found hate crimes in the United States increased by nearly 5 percent in 2016. The total number of crimes included in the report was 6,121– compared to 5,850 in 2015. The report found more than half of those crimes were motivated by the victim’s race. “The positive side we can point to is that more people are feeling comfortable reporting and calling law enforcement and now we can have the conversation about the importance of reporting,” Billoo said. Over the past five months CAIR’s Bay Area chapter has increased its staff by 25 percent in order to respond to the needs of Muslim communities.